The Albanian word "kapica” is, of course, a borrowing from the proto-Slavic "kapa", i.e. 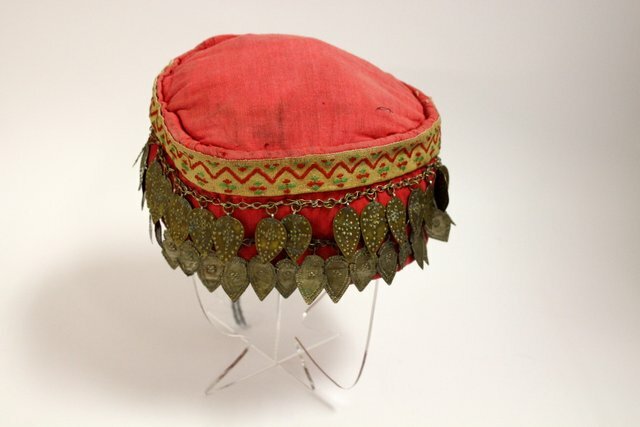 cap, it’s exactly what the headdresses for men and women are called in neighboring Albania, Serbia and Macedonia. 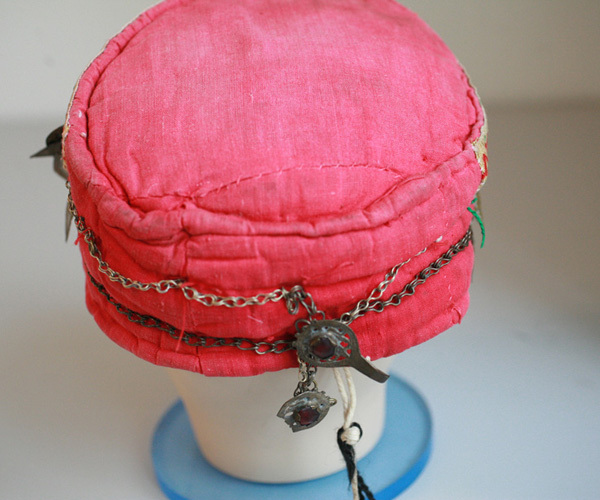 The Albanian kapica is made ​​of satin fabric and most likely worn under scarf. only frontal part would remain open; it was decorated with pewter pendants. Our item was bought in the town of Kruja in northern Albania, but similar headdress can be found throughout Albania, and Bosnia, which shares Islam with Albania.